We are thrilled to have been honored this year with not one… not two… but five 2013 American Graphic Design Awards from Graphic Design USA magazine. Ridge Marketing was recognized for excellence in Logo Design, Blog Design, Web Design, Packaging Design and Print Brochure Design, proving that we truly are a full service creative agency. 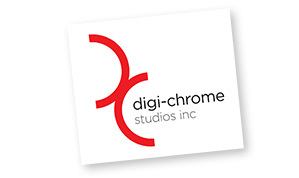 Ridge Marketing produced a sleek and memorable new logo for Digi-Chrome Studios, a high end photo studio that shoots for American Express, Bed, Bath & Beyond, Panasonic and many more. The simple elegance of the design matches the hip vibe in their studio, and the red chosen for the mark speaks to their high energy. It also looks amazing in four-foot-tall distressed copper in their studio lobby. 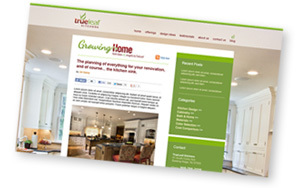 When local kitchen and bath design firm True Leaf Kitchens was ready to launch their blog we wanted to push the boundaries of the design we did for their main website. We decided to go full screen with a True Leaf-designed kitchen in the background, giving the site the visual effect that you’re standing in the middle of a beautiful kitchen with the blog posts floating in front of you. 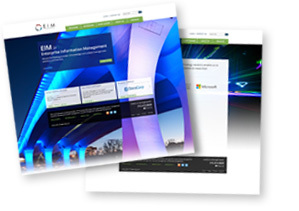 EIM International, an information management company based in New York City, needed to update their online presence while better explaining the services they offer. We chose bridge and architectural photography both for their abstract angles and as a metaphor for EIM bridging gaps in information within their clients’ organizations. 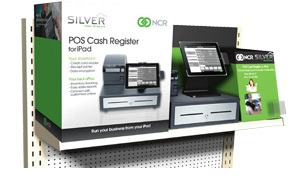 Although NCR was the very first company in the world to sell a mechanical cash register, they found themselves late to a mobile Point of Sale market already dominated by nimble startups. Ridge Marketing created new branding, a website and (now award-winning) packaging with a hip, high end feel to appeal to the tech savvy small business owners targeted for this solution. Exhibit design and fabrication is the mainstay of Loran Associates’ business, but they also provide retail and corporate design, graphic design and production, tradeshow services and meetings/event services. 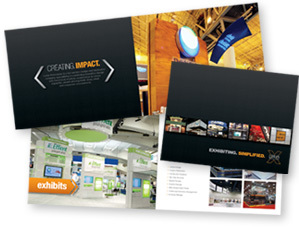 They needed materials to showcase their exhibit services while educating prospects about their other capabilities. This award-wining brochure accomplished both of these, while complementing the branding we established with last year’s website redesign. And while we’re talking about awards… Our sign builder recently won an award of his own in the USSC Sign Design Competition for the sign we designed together and he built for our new offices. The sign is an intentionally rusted steel arc with raised PVC letters and 3D icon that perfectly blends the rustic look of our new barn’s exterior with the cutting-edge work taking place on the inside. Congratulations to Gary Johnson and the Great American Sign Company. 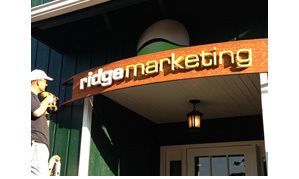 Ridge Marketing is a full service creative agency that has been producing award-winning creative since 2004. Our dedicated in-house team of creative and development experts is ready to put our talents to work for your company. Please get in touch with us to discuss your needs and see what we can do for you.